These Natural Mature Skin Care Recipes Are Guaranteed To Help You Win The Battle Against Wrinkles! Below are a variety of mature skin care recipes that have natural ingredients that are proven wrinkle fighters. Using these natural ingredients gives your skin everything it needs to keep your skin youthful for as long as possible. Try these recipes and see the difference natural skin care can really make. Melt wax and almond oil over double boiler. Add warmed distilled water very slowly whisking constantly. When mixture starts to thicken and the water is well incorporated slowly whisk in remaining oils. Store in sterile glass jar. Massage gently into skin and rinse with warm water. Put ingredients into a sterile glass jar with a good lid. Shake until ingredients are well mixed and before each use. Use cosmetic pad or cotton ball to apply to face and rinse with warm water. Warm honey in microwave. Slowly whisk together with other ingredients. Massage into skin and rinse with warm water. Heat milk until it is ready to boil and remove from heat. Add teabags and let steep until cooled. Store in sterile glass jar in fridge. Use cosmetic pad or cotton balls to apply to entire face and rinse with warm water. Put ingredients into food processor or blender and blend into a paste. Massage into skin and rinse with warm water. Bring water to boil and add teabags. Let steep until cooled. Use a cosmetic pad or cotton ball to apply to entire face. Rinse with warm water. Store in sterile jar in the fridge. Put ingredients together in sterile jar that has a good lid. Shake well until mixed and before each use. Use cosmetic pad or cotton ball to apply to entire face and rinse with warm water. Mix ingredients together well. Apply to face and allow to dry. Rinse with warm water and pat dry. Mix ingredients together to form a paste. apply to face and leave on for 20 minutes. Rinse with warm water and pat dry. Put ingredients together in food processor or blender until smooth. Apply to face and leave on for 20 minutes. Rinse with warm water and pat dry. Apply to entire face and leave on for 20 minutes. Rinse with warm water and pat dry. Melt beeswax and jojoba oil together over double boiler. Remove from heat and slowly add warmed rose water whisking constantly. Add the rest of ingredients and mix well. Store in sterile glass jar and shake well before each use. Melt beeswax and shea butter together over double boiler. Remove from heat and slowly whisk in warmed water until creamy. Store in sterile glass jar. Put ingredients together in sterile jar that has a good lid. Shake well to mix and before each use. A few drops is usually enough for each use. Enjoy these natural mature skin care recipes and notice more youthful healthy looking skin! 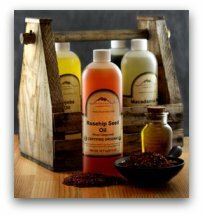 To purchase natural skin care supplies, below are quick links to the ingredients in the above recipes.